Well, the birthday celebrations are over, but there are some other celebrations on the horizon, which I’ll deal with later. In the meantime, it is time to see what damage I did to myself during my food fun. As it turns out, the damage wasn’t nearly as bad as I’d feared as I clocked in at 336.0, which is a four pound increase from my last weigh in two weeks ago. As to the new celebratory food fun, that stems from the fact that I recently accepted a position at a new company, starting in a couple of weeks. As such, there are a couple of “congrats ANB” things planned that I’m aware of. As such, I don’t think I’ll have any massive damage to my weight loss goals. (I’ll write more about the new job in the next couple of weeks). On the low calorie food sampling front, I decided to try Stouffer’s Signature Classics Baked Chicken Breast since it clocks in at only 220 calories a meal. 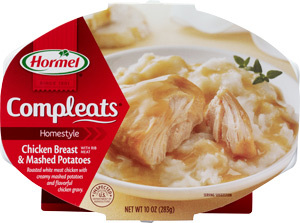 Flavor-wise, I think it tastes better than the Hormel’s Compleates Chicken Breast & Mashed Potatoes. However, the gravy, while tasting fine, is a bit watery. So when mixed with the mashed potatoes, it becomes this muck that almost needs to be consumed with a spoon. The potatoes taste really good on their own, so they don’t need that much gravy. This entry was posted in Weight Loss and tagged 5:2 Diet on August 10, 2013 by AstroNerdBoy. Hey gang. Well, August 4 was my birthday, making the numbers on my age go up by one again. ^_^ Because of this, I decided that I wasn’t even going to touch a scale, so no weigh in for last week. So, after my interview concluded (and it went well), I made my long trip back, taking a small detour to grab Larkburger for my “breakfast” meal (I hadn’t had a cheeseburger in a LONG time and had been craving one for a while). I also grabbed a large dark chicken rice bowl with extra curry sauce from Tokyo Joe’s for my lunch meal. Both were quite excellent to be sure. ^_^ On the way home, I swang by McDonald’s to grab a sausage-egg McMuffin (for some reason, I craved that more than my usual sausage-egg biscuit), making a pit stop at a supermarket that does excellent Boston Cream Pies (cakes). That’s from the Red Dwarf episode “Body Swap” for those wondering. So, what other birthday naughtiness have I done? 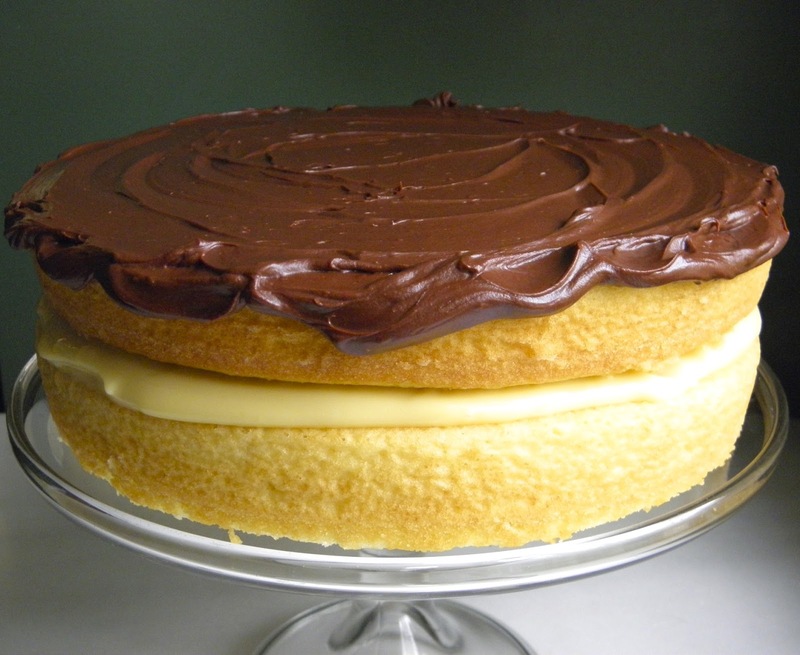 Well, I’ve already mentioned the Boston Cream Pie (why is it called a pie at all when it is a cake? ), which naturally got attacked several times. ^_^;;; For some reason, I actually fancied cooking a large hamburger steak on Saturday night. Normally I’d have it with buttered grits and fries, but I wanted buttered rice, so that’s what I had. I did forget the tomato, which was a bummer, but I did have the sweet onion, so it wasn’t a total loss. Tomorrow is Mexican Monday to start off my LONG work week. However, I do plan to not pig out, but rather divide up the meal and start getting back on the wagon. I believe my comrades are doing real Philly Cheese Steak sandwiches on Tuesday, but again, the plan is to not eat the whole thing at one sitting, but divide it in half and make it two meals. After that, the plan is to get back on the 5:2 Diet wagon 100% and recover from this food fun. This entry was posted in Weight Loss and tagged 5:2 Diet, birthday on August 5, 2013 by AstroNerdBoy. Another insanely busy week has concluded, which means it is time for me to check in on my weight status, even if my busy schedule hasn’t lessened. This week, there’s a disappointing 0.2 pound loss as I clocked in at 332.0. The problem is that once I have a bite, the “feeding frenzy” feeling comes upon me and it is REALLY hard to stop. 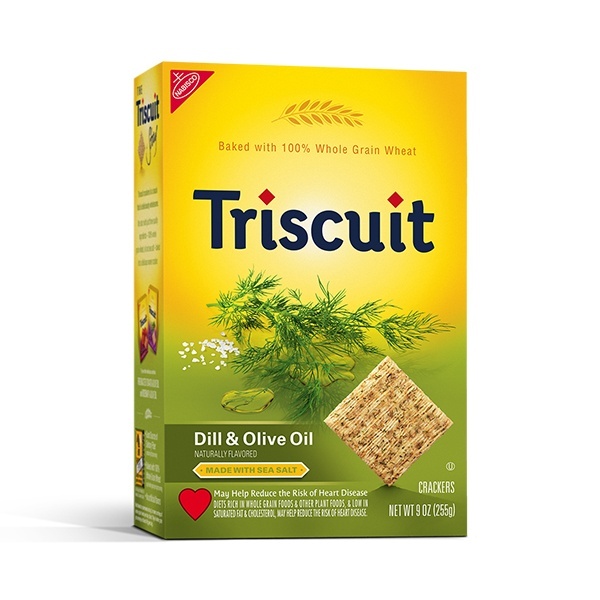 Even if I do stop at three crackers with cottage cheese, it burns in the back of my head and I want more. Eventually, I’ll give in thinking, “OK, one more” but then I’ve failed for sure because its never just “one more”. This “feeding frenzy” aspect of me is something that is probably the most difficult thing to overcome, and certainly is the biggest obstacle for me when it comes to losing weight. It is something I’ve had ever since I was a kid and got passed this, “I don’t care much for foods other than Mom’s spaghetti and a few other items” to “Man, food is freaking awesome, most of the time.” That’s why when I was a young teen, whenever my family would travel to a nearby city for a monthly shopping excursion (hitting the malls, the dreaded fabric stores for my mom, and wherever else was on the list), the best part of the day was going to a place called Duff’s, which was an all you can eat buffet place. Anyway, Duff’s was were I could indulge my young feeding frenzy, and let me tell you, my parent’s definitely got their money’s worth considering how much I could shovel down. Of course, back in those days, I wasn’t big at all, so there were no worries about my eating a ton. Indeed, I was kind of slender up until I started working at a small supermarket, but that’s another tale. The point is, this feeding frenzy aspect as been around for a very long time and it is something I’m going to have to learn to overcome. This entry was posted in Weight Loss and tagged 5:2 Diet on July 28, 2013 by AstroNerdBoy. Well, it is time to face the scales again to see what horrors may possibly lurk. My weight loss continues as the scales reported I weighed 332.2, which is a 1.2 pound loss from last week. I’m pleasantly surprised by this. To be honest, last week really wasn’t a good week for me. 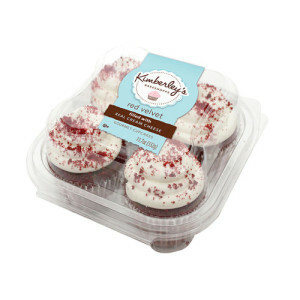 I did my two fast days with no problem, but there were a number of bad moments, starting when Junk Food Vegetarian brought in these EVIL Kimberley’s Bakeshoppe Red Velvet cupcakes with a cream cheese filling in the middle. Oh my word, these things were the bomb, and oh so moist. I only had one, even though I had opportunity for at least one more. But, I wanted to be good. Unfortunately, since we’d been talking about chocolate cream filled long johns, I had a taste for those as well. Naturally, on my way home, I’m ambushed by two of them as I innocently make my way through a King Sooper’s bakery section, where they force me to take them to the register and purchase them. Then, when I got home, they forced me to eat both of them, on the spot. ^_^;;; Terrible, I tell you, terrible. What was worse than that was what happened to me sleep-wise. I was so wiped from working seven, grueling 12.5 hour shifts in a row, on my days off, I found myself constantly going back to bed to get just a little more sleep right after I’d eaten something. I did that for my entire time off — sleep a bit, get up for a few hours and eat, go back to bed and sleep for a couple of hours, get up for a few and eat, etc. That right there was the killer, but it didn’t have the devastating effect I’d feared. That’s not to say that I don’t need to be cautious. If anything, I need to be more cautious this week and avoid temptations like the plague. That has also included staying awake when I’d love to go back to bed and crash for a couple of hours. Even writing this is a struggle. Funny thing is, when it is time for me to go to bed, I’ll be wide awake. Go figure. This entry was posted in Weight Loss and tagged 5:2 Diet on July 21, 2013 by AstroNerdBoy. Another week goes by, which means it is time for me to report on my success or lack thereof with the 5:2 diet weight loss. Fortunately, I have good news as I checked in today at 333.4, which is a 3.2 pound loss. I’m starting to get a little excited because I’m approaching my first milestone, which is 330 pounds. Why 330? Well, for a number of years, that’s where I hovered at. Sometimes I’d drop down to the lower 320s or 3-teens, but when I regained weight, it always seemed to peak out at ~330. So, getting back down to 330 puts me back to a place where I’ll be having to consider switching to a smaller belt. Also, a few more t-shirts will start becoming wearable as I’ll be able to fit into them. 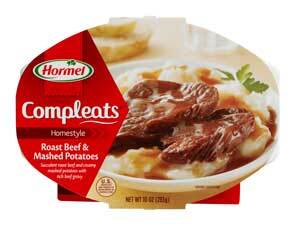 On the “diet” food front, I thought I’d mention the Hormel® Compleats® Homestyle – Roast Beef & Mashed Potatoes, since I don’t think I’ve done so before. At 220 calories a meal, it works well with the fast days. 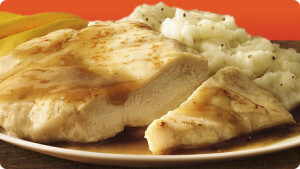 It isn’t a bad meal, but the mashed potatoes in the Hormel meals are only average at best. The gravy with many meals makes up for it. Here, I found that the au jus approach to this meal makes the mashed potatoes “averageness” stand out. I do like this meal better when I have it on a non-fast day with a package of Shirakiku Instant Cooked Rice (or other, good Japanese instant rice like the slightly more expensive Katokichi Takitate Gohan). This entry was posted in Weight Loss and tagged 5:2 Diet on July 13, 2013 by AstroNerdBoy. I have previously made mention of the fact that I really haven’t had the best of attitudes about things of late, whether weight loss or other things. That being said, recent chats with friends and coworkers where they expressed admiration at my discipline on my fasting days has really been giving me things to chew on mentally. Everyone I talk to says that there’s no way they could restrict themselves to just 500 or 600 calories (depending on if you are female or male respectively) on one day a week, much less two, nonconsecutive days a week. I hadn’t thought about what I was doing in terms of discipline since I tend to be so weak during my feast days. However, as I considered their words, I realized that I am indeed doing something that does take discipline. It would be so easy to come home, feeling famished, and just raid the fridge or pantry. 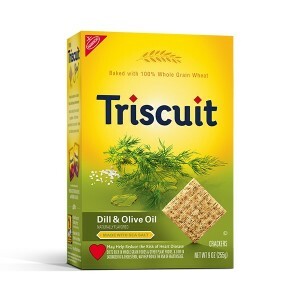 Heck, since I will often swing by a supermarket of some kind on the way home, it would be easy to go el nutso by purchasing snack foods and desserts, then bringing them home and having a feeding frenzy on said purchases. I don’t do that. As such, that is a form of discipline and I found that to actually be encouraging in unexpected ways. So, building upon that, I’m taking new steps that I should have taken ages ago, but I allowed my negative attitude to get in the way. As such, I’m going to attempt to apply that level of discipline that I have on fast days to feast days. For example, if I’m working a Monday and we are having “Mexican Monday” (which is routine for the command center where I work since the Mexican place we have a food run made to has a lot of good food for pretty cheap prices), I’ll only eat half of a meal instead of a whole meal with chips. So if I get a smothered burrito deluxe, I’ll cut it in half, eat the other half with half the chips, and save the other half for another day’s meal. Then I’ll have something small in calories for dinner, and a few spoonfuls of cottage cheese when I get home if I need to take a decongestant or other medication for whatever reason before going to bed. As I said, this is something I should have been doing all along. It is weird that the fire that was lit under me to do this was the honest encouragement received from friends and coworkers about something I regarded as mundane. Still, the proof is in the pudding as they say, so now the ball is in my court to actually do the needful and throttle back on feast days. I’m determined to get this done. This entry was posted in Weight Loss and tagged 5:2 Diet on July 7, 2013 by AstroNerdBoy. Because I’ve been sick the last week plus (still trying to shake it off), I did not follow the diet plan last week. I am resuming tonight and even turned down the MASSIVE amount of free cheesecake and other desserts that were brought into us at work. 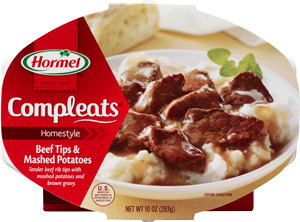 On the food front, I tried Hormel Compleats Homestyle Beef Tips & Mashed Potatoes meal. It is much better tasting than the Hormel Compleats Balanced Selections Steak Tips & Mashed Potatoes and only clocks in at 260 calories. I’m going to have one of those tonight as well as a Jimmy Dean’s Delights Turkey Sausage Bowl. So, while I feel depressed and angry over the setback, I’m still determined not to give up. This entry was posted in Weight Loss and tagged 5:2 Diet on June 26, 2013 by AstroNerdBoy. The ninth week is here and once again, I am sick as all get out. This is the third time I’ve caught whatever this crap is this year and it is quite frustrating. More on that in a bit. In the meantime, I weighed in on Wednesday at 336.2, which is a 5.2 pound drop from last week. That part is quite encouraging. Still, with this being the third time I’ve gotten sick (this time thanks to Booger Man sneezing on me at turnover one day, then coughing on me on the next day where the spatters could still be “felt” hours after scrubbing them off), some have raised the idea that this diet may be the cause of my unusual illnesses this year. I am willing to concede this is a factor, but considering that I’ve not read complaints from others on the 5:2 diet about being sick more frequently, I think it is only a small factor. For starters, I work 12.5 hour shifts, not counting all of the commute time to work and back. It is not unusual for me to have to work extra, especially during a crisis situation. So the hours are a factor. Next, I work the second shift, meaning I’m sleeping during the day. When I’m off, I try to keep the same schedule, but that’s not as easy as it seems. After all, if I need to take my vehicle in for service, it has to be during the day. Doctor’s appointment? Daytime. Haircut? Ditto. This makes my sleeping patters quite terrible. Indeed, for the last couple of weeks, my sleep was pretty jacked up so that I was doing good to get four hours. Lack of sleep is what I attribute as the main cause of getting sick (outside of getting sneezed and coughed on by someone notorious for doing that). Another factor is the poor air quality at work. Some days are worse than others and many of us seem to be affected all at once. We usually joke that the A/C (or just air blowing in general) must have kicked in. Regardless, the 5:2 Diet doesn’t have many medical studies on its long term affect on health. What I’ve read does indicate some negative side effects, including sleep issues (though I’ve found most of the time, I sleep better on fast days), but cites folks having improved blood sugar counts (diabetes), cholesterol, etc., on top of the weight lost. 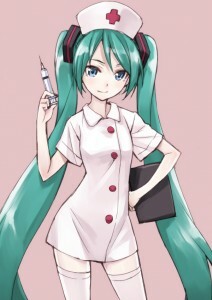 For now, I’ll continue the program, though this week, I’m taking a break so as to get well soon. This entry was posted in Weight Loss and tagged 5:2 Diet on June 20, 2013 by AstroNerdBoy. So, here we are on the 8th week of my second try at the 5:2 diet, and it is time for my weekly weigh in. I’m happy to report that I checked in at 341.4, which is a 2.2 pound loss from last Wednesday. I wasn’t sure how things would go this week as there were some changes to my normal routine. For starters, I ended up not eating at all during my work hours on Wednesday and Friday. I did eat something once I got home on both days so that I could take aspirin for some sore shoulders. I also had a weekend excursion which required me to flip my schedule. I was concerned that this might cause some negative effects, but it appears not to have done. 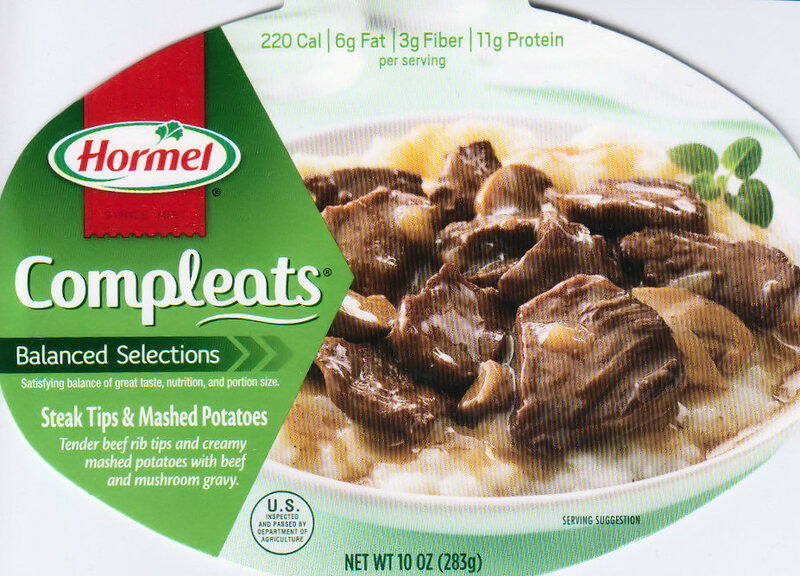 On the new diet foods front, I tried Hormel Compleats Balanced Selections Steak Tips & Mashed Potatoes, which Super Walmart had on sale along with all of there other Hormel Compleats line. It wasn’t bad, but not really my thing. The mushroom gravy wasn’t the best. However, it only has 220 calories per meal. Unfortunately, when I went to Hormel’s site, it isn’t listed there. It is quite possible that it is a discontinued product. One other new change to report. Of my immediate circle of comrades and friends, three decided they could stand to lose roughly twenty pounds (Hereby known as Mr. B, Junk Food Vegetarian, and Camel Jockey 2). I agreed to try to lose forty for their twenty, so we now have money on the line. This actually started last week, where I and CJ2 had to put in $5 for missing our goals (2 pounds a week for me; 1 pound a week for them). This week, only JFV had to deposit the money, which she predicted would happen. Mr. B is the only one humming along with weight loss. He tends to “graze” when he eats, so for all I know, that is helping him. This entry was posted in Weight Loss and tagged 5:2 Diet on June 13, 2013 by AstroNerdBoy. 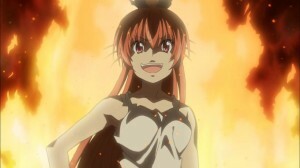 So, Wednesday is here again, meaning it is time for the reckoning. I’m happy to report that I clocked in at 242.6, which is a 1.6 pound drop. One thing I did differently last week happened on Friday. For whatever odd reason, although I was hungry, I didn’t feel like eating. That’s a first for me, and even my crew at work took note of this, marveling that I’d not eaten anything. They all concluded that they couldn’t do that. I still don’t know why this happened, but I thought I’d remark on it just the same. We’ll see if I am the same this week or not when it comes to my fast days. 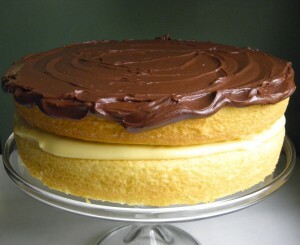 I did finally break down and score a Boston Creme Pie, as I mentioned last week. *_* Well, I’m blaming Karmita for this since she suggested it. Yeah, that’s the ticket. Fortunately, I had comrades to save me from too much of this delicious evil. On the food experiment front, I tried Hormel’s Compleates Chicken Breast & Mashed Potatoes, which checks in at 210 calories. That surprised me since there seems to be more food in this than in the normal freezer stuff I buy (Hormel’s stuff is sold in the boxed foods aisle). It was a little salty for my tastes, but it was more filling, adding to the perception that there’s more food. I know there were more mashed potatoes and gravy than any of the other meals I’ve purchased have contained. Bottom line there is that I’ll be getting more of these. I want to try the Chicken and Dumpling one next. This entry was posted in Weight Loss and tagged 5:2 Diet on May 22, 2013 by AstroNerdBoy.